Aakash Odedra is an award winning, contemporary British dancer. Aakash was born in Birmingham and trained in the classical Indian dance styles of Kathak (Nilima Devi, Leicester and Asha Joglekar, India) and Bharat Natyam (Chitraleka Bolar, Birmingham and Chhaya Kantaveh, India) . His early development in the United Kingdom saw support from Sampad (including support in a development bursary) and Akademi (through a major choreographic bursary). In 2009, Aakash performed a solo choreographed by Kumudini Lakhia titled ‘Maati Re’ at the Svapngata Festival at Sadler’s Wells curated by Akram Khan. Khan followed this with a period of mentorship, allowing Aakash to develop contemporary movement. He took part in the European Network of Performing Arts’ 2010 ChoreoLab in Serbia through Dance Umbrella. Also in 2010, he performed a duet with Sanjukta Sinha choreographed by Kumudini Lakhia titled ‘Tatha’ , He incorporates that training in a unique synthesis with contemporary dance, both in his choreography and his creations with other choreographers. 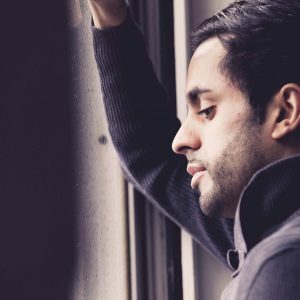 Aakash formed Aakash Odedra Company in 2011 as a vehicle for commissioning solos and for Aakash to develop his own choreographic work. His debut full length solo Rising featured new short works created on him by Khan, Sidi Larbi Cherkaoui and Russell Maliphant. As choreographer he was commissioned to create a piece for James Brown: Get on the Good Foot ( Apollo Theater , New York ) and the Opera God’s Little Soldier (Theater Freiburg), The Queen’s Diamond Jubilee celebrations and the closing of the London Cultural Olympiad. Aakash has received numerous awards and bursaries, , a Danza&Danza award (Italy), a Dora performance award (Canada), Audience Award Dance Week 2013 (Croatia) and a Sky Academy Arts Scholarship. In May 2014 Aakash Odedra Company presented Murmur (with Lewis Major and Ars Electronica Futurelab) and Inked (by Damien Jalet) at International Dance Festival Birmingham.